Staying ahead of the marketing curve seems to be a never-ending quest. Marketing doesn’t have to be as complex as some people make it out to be. It s simply a matter of understanding who you are marketing to your ideal customers and then coming up with a system that keeps your name in front of them. A huge part of the system is creating enough value for your customers that they want to hear from you. Solo marketing efforts are no longer as effective as they were in the past. True strength lies in utilizing the power of joint ventures. It is probably one of the most compelling marketing strategies you can implement. With so many people competing in any given industry, an appropriate joint venture can stretch your marketing dollars and increase your market reach. And do so in a way that people want to do business with you. That is the power of utilizing OPM Other People’s Markets. Most people refer to OPM as being Other People’s Money. In reality, when you have been given permission by a person or an organization to reach their market, you are in essence using their money. However, this is also a give and take relationship. If you are using their market, you have to be willing to let them use yours. Consider some key factors before establishing a partnership. After finding a company you want to partner with, I highly recommend putting everything in writing. A written agreement will help both parties to become clear on how their partnership will work. 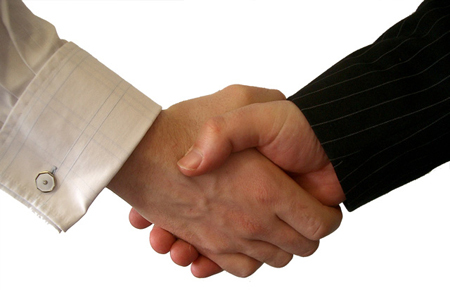 In many cases, you will want an attorney to review the information and even draw up an agreement. Be sure to utilize the services of someone who has everyone s best interest in mind. When drawing up a written agreement, take into consideration the following: individual and joint roles, how new leads will be handled, and how expenses and revenues will be shared. Who do you know that you could help to create a win/win relationship with? When you are clear on whom you can partner with you will be amazed at what can happen for you, your partners and most importantly, your customers and clients.